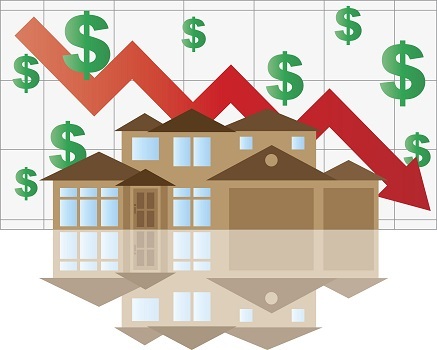 According to the Real Estate Institute of New Zealand (REINZ), the number of residential properties sold in February fell from 6,576 to 5,954, which is a steep 9.5 percent decline from the same time last year. This result is very out of character for a normally busy back-to-school month, with the current level of decline possibly highlighting long-term caution and pessimism from vendors and buyers alike. 13 out of 16 regions recorded an annual fall in the number of properties sold, with Auckland experiencing the worst results. In Auckland, the number of properties sold in February fell from 1,654 to 1,358. This was a very steep decline at -17.9 percent, and the biggest non-January fall since October 2010. While the average number of days it takes to sell a property went up from 44 to 47 nationally, Auckland sellers need to be much more patient at 57 days. Property market trends often start in the biggest and busiest markets, with this slowdown in sales likely to spread across the country if current conditions remain. According to REINZ chief executive Bindi Norwell, "Traditionally children go back to school and people return from their holidays and housing activity picks up, however, February 2019 has been an exception to this rule... The lower level of sales volumes compared to the same time last year can be attributed to a number of things – the raft of legislative changes impacting the housing market at the moment, the increasing difficulty in accessing finance (despite a record low OCR and very low mortgage rates from the banks) and vendors’ pricing expectations." Despite the slowdown in sales, February property growth was still in positive territory in Auckland and across New Zealand. While prices in Auckland were slightly down on an annual basis, national figures were bolstered by record prices in five regions: Gisborne with 25.8 percent growth over the year, Manawatu/Wanganui with 23.4 percent, Southland with 20.8 percent, Wellington with 16.2 percent, and Hawke's Bay with 6.4 percent. Overall, median house prices across New Zealand increased by 5.7 percent in February to $560,000, with prices in Auckland down by 0.6 percent to $850,000.